Amplifi.io solves the increasingly complex digital asset management (DAM) needs of today’s top brands. Consumers are shopping across numerous channels and digital assets have never been more important. The product itself just works, the support staff are great. I like best the way the system handles multiple image types. AMP provides a secure online content library, tailored to our business - an easily searchable catalog of all our brand, marketing and product media that allows our users to store, organize, find and share content with anyone, at any time. AMP saves our teams valuable time when searching for the images, videos, and files they need - meaning they are spending more time adding value to the business. The admin layouts could be easier to use. this is very small; if i have to nit pick something to dislike. Speak with the Support team first, really get an understanding of HOW the media Channels work! We needed a place to have all of our media available in the cloud for any user internal or external in one place. This has helped our sales and warehouse staff sell more product rentals. "The sleek looking easy to use media portal with all the option you could need." The sales reps can share media with the customers directly from the website. It really helps our operations team know what the pieces look like when they in the storage racks. There isn't really much to not like about AMP. There have only been a very few times where the site was unreachable but there service team fixed the issue quickly and stayed in contact with us the whole time. Use it you won't be disappointed. It allowed my company to reduce our on prem server farm to store all of the media we have. The web base site makes it faster and easier to access from outside our organization. Where before our users had to be on our network to look up what they needed. "Quick Adoption and Effortless Integration Company Wide"
We loved the system of 'topics' when uploading content. The ability to upload once and the correct assets could appear in multiple locations was a massive help, it cut out a lot of duplication and avoided the issue of older assets being left out in the marketplace. if something needed to be updated, you upload once and it replaced in all the related categories. File naming and building an organizational strategy was a lengthy process for our team, but one we needed to do regardless. If your team is looking for a content management solution, we had great success with utilizing this with our international partners and distributors. It was set up entirely by two internal team members, after that, only one teammate was needing to maintain and updated the entire platform. It helped with both bandwidth and communication to help us continue to build a consistent and cohesive global brand. We needed a single source of truth for information and content around both product and campaigns. Amplifi was a great solution to help ensure Global consistency. Creating one location that could house searchable imagery, videos and copy was critical to maintaining a cohesive Brand. Additionally the intuitive navigation alleviated reach outs from international partners looking for assets and resources to leverage in their marketplace. We saw immediate relief on bandwidth as well as high adoption and usage rates from our retailers, distributors, and internal teams. "High Tech Digital Asset Managment "
Amplifi is easy to use with a very friendly UI that makes working day to day enjoyable and easy. The support at Amplifi is beyond amazing with quick detailed responses every time. They go out of their way to get you what you need even if it's a special request, they continue to surprise us. Finding an image is quick and easy with some clever AI image identification happening in the background opening up wonderful search capabilities. Aimplifi becomes a bit cumbersome when working with high volumes of high resolution images. We are talking the 4000 images each at 100mb kind of high end usage. Some images fail, assigning images outside of the scope of their automation is a very manual process. We have a digital database that's super visible and searchable, can be shared to anyone anywhere anytime. It can render out different sizes with ease. It's a great catalogue of work completed for reference. "Consistently Improving & Excellent Customer Support"
I like the new recent feature of being able to search for files rather then just looking by topics. They are very open to feedback as well as provide excellent support. I feel like when implementing a new technology system in a company, the customer support you receive can make or break the launch. The AMP team is excellent on support and help. I have never not received a response with a solution in a timely manner. The site isn't responsive or very mobile friendly. Most of our users are outside sales people that are always on the go. Having access to an APP or if the site was responsive would make a big difference. Very open to feedback and constantly improving and adding features. Top-notch customer support. Easy way to share image assets in a nationwide company. Its so much easier to use this than having to upload things on to a server for storage. "Best way to manage our digital photo library "
My favorite feature of amp is the search. All content is tagged appropriately to generate the best search results. I don't dislike anything about amp. The users have such a good experience, we dont get any complaints. If we do, it is usually a suggestion which we send to amp support and they make it happen. While I can only compare this product to a file share server experience, and I have not used other online media solutions, I would recommend choosing AMP over other products. The support was superior in the setup process and continuously meets our expectations. Excited to continue to work with amp in the future. We moved from storing our media on a local file share server to amp. This required users to log into a remote desktop session to access the photos. This creates the big problem of users duplicating content. Now the users can go to a website and access content on the amp website. "Support network is very strong and always willing to address challenges. Continuous improvements"
Both internally and client really like the AI technology that was implemented in 2018. Giving the ability to search by many options without metadata. Amplifi.io has a lot of features and the UX is clean and simple which keeps time spent on training other employees to a minimum. I oversee an ecommerce team that uses the assets contained within Amplifi.io to push content out to various channels such as channel partner sites, the company's own ecommerce site, and the assets are also used for developing creative for channels such as social media and email. Previously, we had our copy decks stored in one place, videos in another, and images in yet another location so having everything in one place reduced the time it took for the team to launch products and create marketing assets. "Improving our workflow and client experience by being reliable and user friendly! " 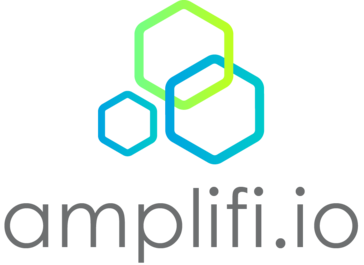 Amplifi.io is user friendly and reliable. We can always count on the team at Amplifi.io to help us with any questions quickly and efficiently. Assigning assets to topics is quite manual and time consuming with a lot of room for human error. When uploading large quantities we occasionally experience preview errors, but the team is always available to help identify and solve all issues. We are able to use the service to improve our client experience by keeping all assets organized, easily searchable and accessible. Being able to customize the automation process has enabled us improve our workflow. "Amplifi.io gives us a one-stop shop for our sales team to access our full catalog of product." I love having the ability to organize our photography and supplemental information in a clear and easily accessible environment. Certain file types and color profiles on photos have lead to viewing issues. Amplifi.io allows our sales team to share creative ideas, inspire others, and provide clients with visual examples of product combinations without having to extensively search file folders. * We monitor all Amplifi.io reviews to prevent fraudulent reviews and keep review quality high. We do not post reviews by company employees or direct competitors. Validated reviews require the user to submit a screenshot of the product containing their user ID, in order to verify a user is an actual user of the product. Hi there! Are you looking to implement a solution like Amplifi.io?